DAVE WHAMOND is the award-winning author of My Think-a-ma-Jink and the Oddrey series a regular contributor to chickaDEE and OWL magazines. He also has a syndicated cartoon strip called “Reality Check,” which appears daily in a number of North American newspapers. He lives in Calgary. From Blue Spruce Award–winning author-illustrator Dave Whamond comes the story of Oddrey, a young girl who is a little bit different from everybody else. 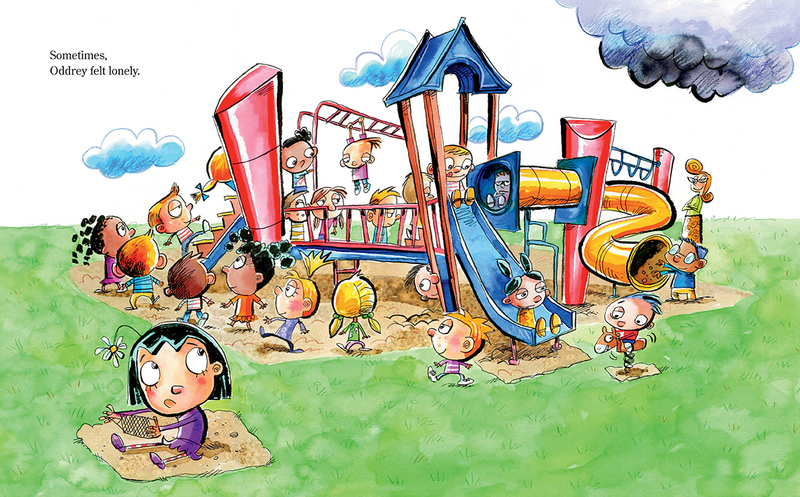 Every aspect of Oddrey’s world is a study in playful curiosity. Her adventures and flights of fancy, however, are often a source of some teasing at the hands of her classmates. Her technicolor snow sculpture has the rest of the playground gaping in disbelief. Her drawing of blue apples is met with a stern look from her teacher. But Oddrey, never one to let anything get her down, faces all of these discouragements with optimism and offhanded grace. So when her class production of The Wizard of Oz is cast and Oddrey is given the rather spiritless role of a tree, she decides to make the best of the situation and vows to be the most unique tree ever. Sadly, her teacher has other ideas, and Oddrey dons an uninspired costume and sways in the back row. But when her classmates start forgetting their lines, knocking down props, and suffering from stage fright, Oddrey steps in to save the show — not by stealing it, but by helping her classmates rise to the occasion, much to their relief and delight. Full of witty, energetic, and vivid illustrations sure to resonate with young readers, Oddrey is an endearing story with a timeless message of how the misfits in our midst can be the ones we most often misjudge. A wonderfully vibrant book, with a bubbly, inspiring protagonist. Oddrey will make a valuable addition to a classroom discussion on individualism…and children will enjoy it one on one as well. 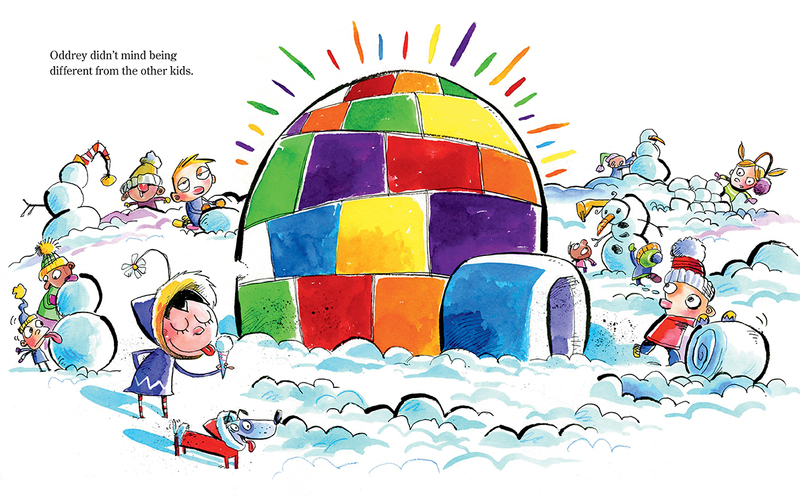 Watercolour and ink images are full of eye-catching colour, and the numerous comic touches that Whamond includes fit perfectly with the tone of the text…A comic tale that is full of good fun. "A fast-paced, inspiring tale about a one-of-a-kind girl who overcomes obstacles by believing in herself and helping others believe in herself, too." "It's stage fright night in Dave Whamond's brand-new Oddrey as Oddrey joins other individualistic protagonists... and shows just who has that star quality necessary to step up to the footlights and save the show in the nick of time."